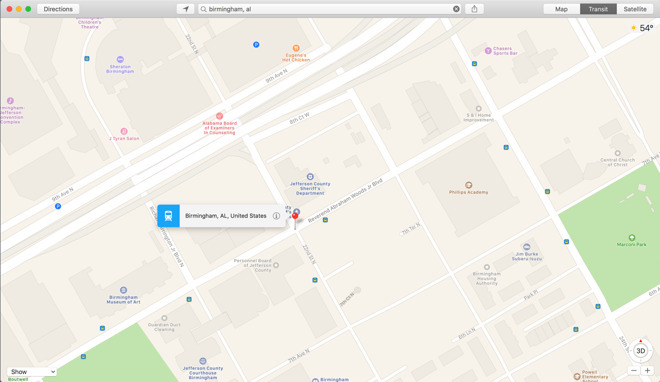 Apple on Tuesday added public transit directions for Birmingham, Alabama for users of the Maps apps on iOS and macOS. Quietly added on Tuesday morning, the data set for Birmingham includes all forms of public transportation in the two cities, including live mapping of some transit assets. As usual, the app will pick and choose various methods of transport available when considering a route to help a traveller reach a destination faster. During the iOS 9 launch of mass-transit information, Apple Maps only had transit information for seven US cities, and 30 cities in China. 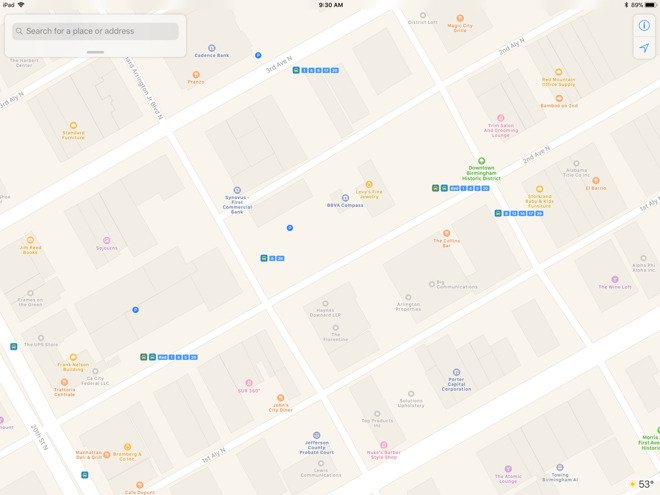 To assist in locating other train boarding locations, and where to catch a bus in a central station, Transit in Apple Maps has always given users a top-down navigation view of large facities in addition to local schedules. Implementation of new locations is much more complicated than it appears at first glance. Each location added spans areas exceeding just the city it is centered in, and is customized for specific areas. For instance, the Washington D.C. Metro area spans not only the district, but Virginia and Maryland public transportation systems as well. The addition of Birmingham, Ala., raises the total to 57 areas internationally with Transit data —with five of those being all of Great Britain, China, Japan, the Netherlands, and Singapore.